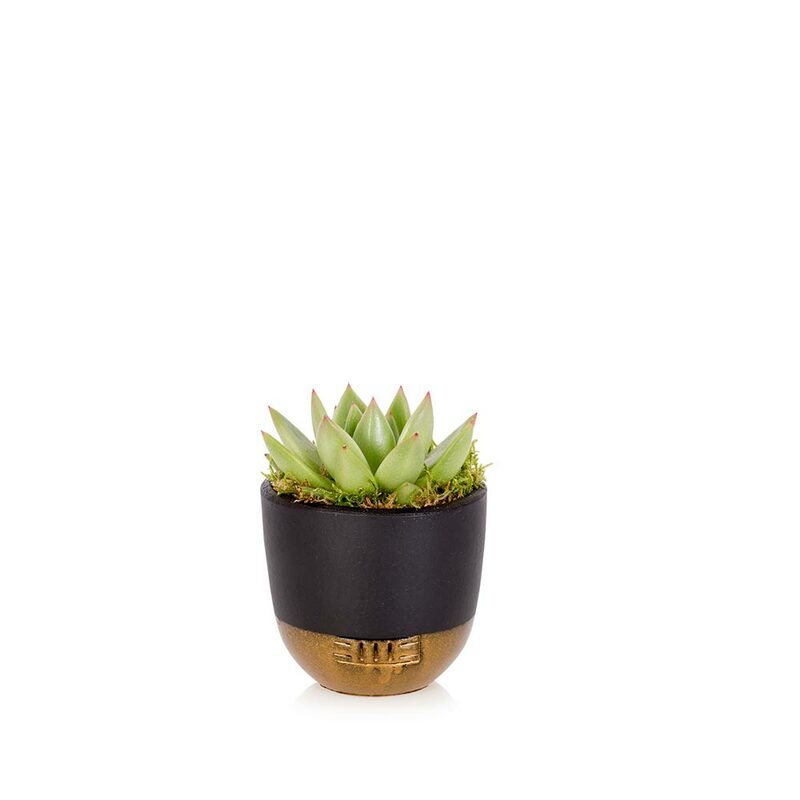 This succulent really is as cute as they come. 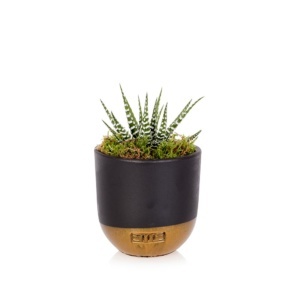 Tiny in size but striking in appearance, with its distinctive leaves and bright green colour, complemented perfectly with our black and gold pots! This variety of succulent is part of the Echeveria family. With their robust, thick leaves and often very short stems, these easy to care for succulents really offer a foolproof indoor plant. Group together to create a statement and grow your very own indoor garden. 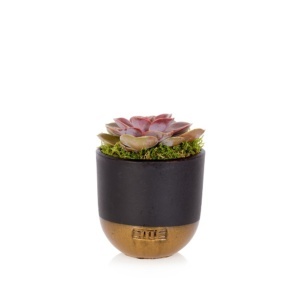 These mini succulents are great for filling empty, unloved corners of your home. 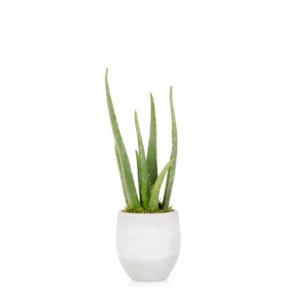 Adding interest and natural beauty with these very low maintenance plants. Do not water the leaves. A very tiny bit of water can be put under the leaves, straight into the soil. But we do not recommend doing this more than once a month. 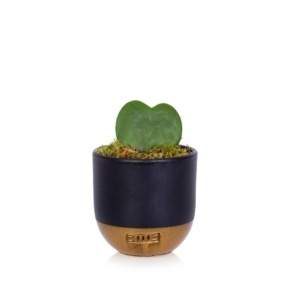 Super sweet little plant that compliments the other pieces really well. Lovely vibrant pale green! Pick me and a few of my other little succulents friends, groups us together and you have a ready made indoor garden!